Lexi-Adopted | One Dog More! Just have to share our newest rescue. 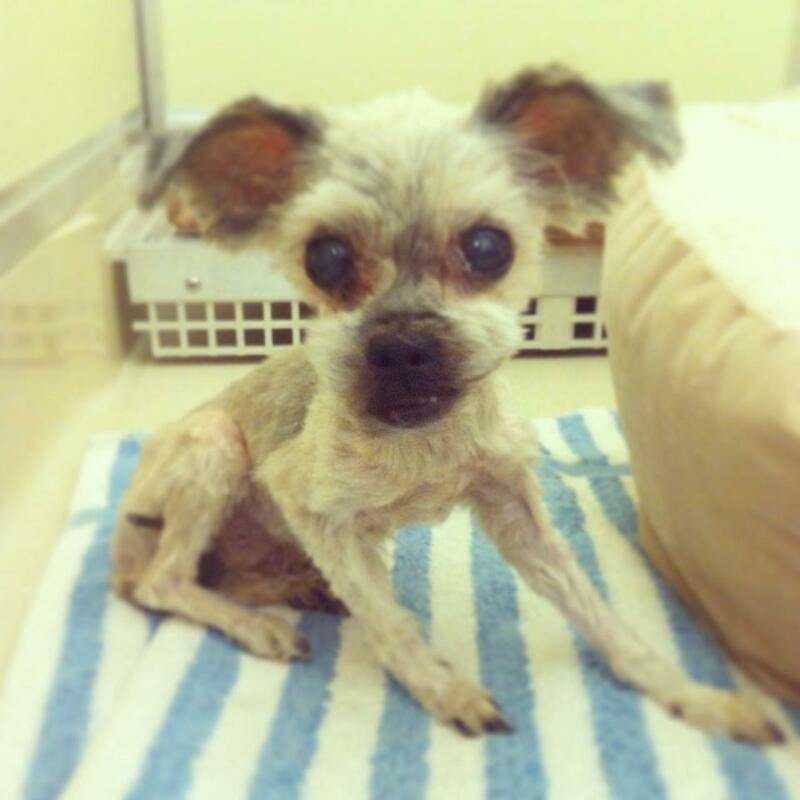 Lexi is a 14 year old Yorkie that weighs in at 3.8 pounds. She was rescued by a Baltimore police officer and taken to BARCS. She has all her shots and is the sweetest little girl. She is great with all the other dogs and will curl her little lip at them when they annoy her. She hasn’t paid the cats any attention at all. She just wants a lap to cuddle in. UPDATE: Lexi is up to 5 pounds! I saw Lexi on Channel 6 News and fell in love. I have had three dogs in my lifetime – one Yorkie and one toy poodle and one teacup poodle. They have all gone to Rainbow Bridge. Coco my last one passed in 2011 at the age of 19. I am a senior citizen who still works. I have a large yard for Lexi to run in or just to soak up the sun. I love to cuddle with my babies. If Lexi is still available I am interested in adopting her. My name is Peggy Cantes and I live in Atlantic City, NJ. I can be reached at 609-204-3053. My dog sweetie was killed on March 20th by two stray dogs. She just turned three on March 3rd. I’m looking for a female 4 to 5 pound dog that wants to stay indoors with me. I have a lot of love to give. Please help me find a little girl who needs a lot of love. I am interested in Lexi. I have been looking for the perfect dog for my mom who has been asking for a small puppy that she can hold and cuddle on her lap. She is 87 and lives in my home. She has a lot of love to give. She has a stuffed puppy she holds on her lap and asks us every day if we found a puppy for her yet. She would always have someone to love her and we would offer her the perfect home. Please contact me at seislegirl@aol.com. My name is Lynn and we live in Oaklyn, NJ . Thank you so much! Lynn, Lexi has been adopted. Please let me know if another dog interests you. Thanks!